It is now known as Campbeltown Airport. During WW2, it was developed into one of three Emergency Landing Airfields, equipped with FIDO. It is was later known as Kent International Airport. In WW1, there had been an airfield at Narborough and this was renamed Marham before the end of the war. Also known as LG07 and 'Z' LG. Transferred to Royal Pakistan Air Force and still currently in use as Masroor Airbase. It is now a housing estate. It was a sub-station of No 42 Base from 24 Mar 1943 to 15 Apr 1944, when it was transferred to No 44 Base until 1 Sep 1945. It was a sub-station of No 33 Base from 25 Aug 1943 to 1 Sep 1945. 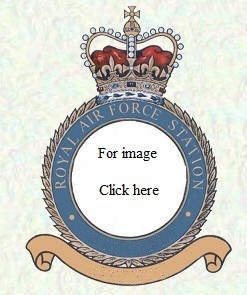 It opened as a satellite of RAF Coningsby. It was a sub-station of No 54 Base from 1 Jan 1944 to 15 Nov 1945. It was a sub-station of No 32 Base from 19 Sep 1943 to 15 Nov 1945. It was HQ, No 64 Base from 1 May 1944, remaining as such until 14 Jun 1945. Various detachments and rotations of B-29s, B-50s, RB-50s, KC-97s, B-47s, C-130s, C-141s, C-124s, C-133s, C-121s, C-118s, C-47s, C-5s, KC-135s and C-17. It was HQ, Mildenhall Base from 1 Mar 1943 until 16 Sep 1943, when it was renamed No 32 Base, remaining as the HQ until 15 Nov 1945. It is now used by the Borders Gliding Club. The airfield remained in use by light aircraft, training by British Airways helicopters and by RAF Hercules on tactical exercises. Originally known as Bahrain, it is now Bahrain International Airport. **Detachment dates indicate that a detachment(s) took place at some point between these dates.